Dreading those end-of-year celebrations, whether it's Thanksgiving, Hanukkah, Christmas, or New Year's Eve? Beat holiday depression with these 6 strategies. For many, just thinking about gatherings to celebrate Thanksgiving, Hanukkah, Christmas, or New Year's Eve can cause holiday depression. Do you watch the holidays approach with a creeping sense of dread? Maybe you don’t get along with family members, or maybe you don’t have any family at all. Perhaps death, divorce, and disagreements made past get-togethers with loved ones a living hell. Or maybe you simply cannot tolerate the shortening days without feeling exhausted and miserable. If any or all of this sounds familiar, you might be among legions who suffer from holiday depression. Julie G. Kays, MS, LCPC, NCC, wants you to know that these feelings are both normal and acceptable. Do You Have “SAD” Disorder? 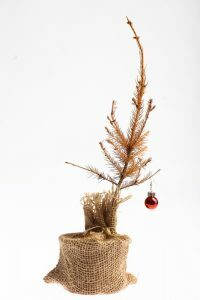 “It’s okay not to be happy this time of year, and it’s okay to acknowledge the holidays as a very difficult time,” explains Kays, a licensed and Board-Certified Clinical Counselor at The Counseling Center at Stella Maris in Timonium, MD. Depression can be divided into two general types, Kays says. Situational depression occurs as the result of what is happening in your environment. Physiological depression occurs when your body and brain are wired in such as way to make you more vulnerable to the condition. The holiday season can put us in a funk. Fortunately, there are steps you can take to rise above holiday depression. Holiday depression may fall into either of these categories. For instance, if you’re grieving the loss of a child, simply watching as the world excitedly anticipates the arrival of Santa Claus can send you into an emotional tailspin. Likewise, the winter months—with their shorter days and fewer opportunities to get outside and be physically active—can trigger depression. For some unlucky people, both these factors may be at play. 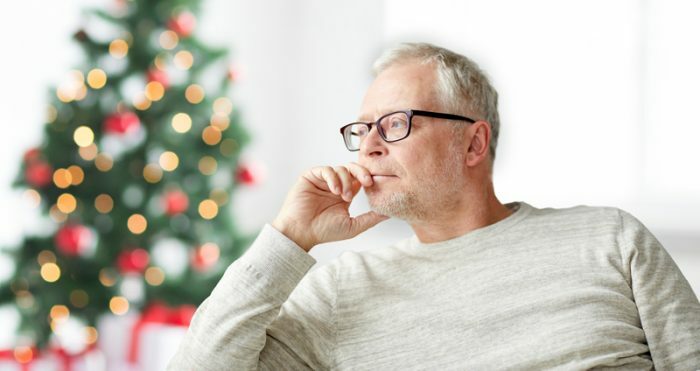 What can you do to avoid becoming depressed during the holidays, or at least minimize the emotional fallout of the holiday season? Kays offers the following tips. 1. Allow yourself to feel sad. If the holiday season gets you down, acknowledge those feelings. “You need to feel what you feel and not try to sugar-coat it,” Kays recommends. Studies show that people who try to contain their emotions actually end up amplifying them. But being more mindful of how you feel can make those same negative emotions feel less overwhelming. It’s not enough just to know you’re sad or angry. You need to get it out. Try talking your feelings out with a trusted friend or having a good cry. Paint a picture or write about how you feel in a journal. For anger in particular, it can be really helpful to express it in a physical way. Maybe take up boxing or martial arts. If you know that the holidays get you down, prepare yourself ahead of time. Decide what you can and cannot tolerate and stick with it. Don’t feel pressured to accept every party invitation or take on every task. But don’t isolate yourself, either. Spend time with people you trust to support you when you’re struggling. Part of sticking to your plan means maintaining healthy boundaries. Maybe family time is just too much for you this year because of past conflict, or maybe you’re willing to be part of one family dinner but not six. Do not feel pressured into situations that you know will make you miserable, even if everyone has always counted on you to do so in the past. If you’re at a family event and things get tense, don’t let yourself be sucked in. And remember, boundaries can be flexible. Just because you’re not going to host an event this year does not mean you won’t ever do it again, nor does it mean that you won’t help out at all. There are seemingly endless opportunities to help others during the holidays. Research shows that helping other people actually boosts your mood, so take advantage. Don’t feel like you have to make a huge commitment. Spend one afternoon volunteering at a soup kitchen or simply pick out a thoughtful gift for a special friend or family member. When you’re struggling emotionally, it can be hard to pull yourself off the couch or resist that bag of chips, but this is the time when basic self-care can provide the most benefits. Go ahead and indulge in the occasional holiday treat, but try to stick to a schedule of regular sleep, exercise, and healthy eating. This can go a long way toward staving off holiday depression. If you recently lost someone you love, celebrating the holidays can feel like rubbing salt in a wound. You might even feel tempted to skip the holidays altogether. Instead, suggests Julie G. Kays, MS, LCPC, NCC, use the time with family and other loved ones as an opportunity to honor the memory of the person you lost and support each other through the pain. Don’t try to re-create prior happy times, recommends Kays. That will only serve to reinforce your loss. Instead, change things up. If Dad was always the one who carved the turkey at Thanksgiving, identify someone new to do it, opt for a completely different meal, or consider going out. Develop new traditions that honor the memory of those you have lost instead of reminding you of your pain. Why Do Some People Experience Depression During the Holidays? 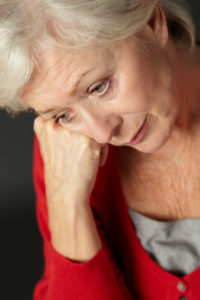 affective disorder, brain, depressed, depression, exercise, grieving, healthy eating, holiday depression, how to overcome depression, memory, mood, natural solutions, overcome depression, pain, sad, sad disorder, seasonal affective, seasonal affective disorder, seasonal depression, situational depression, sleep, stress, studies show, sugar, the memory.